“The Deaf are one of the most overlooked and the least evangelized groups in the world with 98% Deaf people still waiting to hear John 3:16. Most Deaf have never seen a Bible story signed in their heart language. Most Deaf have never had anyone explain the Gospel to them. Most have no access to Scriptures. There is no complete Deaf Bible in the world. Most churches do not provide outreach to the Deaf community; therefore the Deaf have no real access to hear the salvation message. Deaf people are often abandoned, neglected and isolated, in their families, work places, and sadly even within the church. At Pure Heart we have a Ministry with the Deaf. “Jesus talked a lot about going to the least of these.” Deaf and Hard of hearing and Deaf-Blind and Deaf-low vision are welcomed here. Through qualified interpreters the messages are interpreted into American Sign Language (ASL).  Our Ministry with the Deaf has a profound understanding of the Deaf culture, is fluent in ASL as well as English enabling not only outreach to the Deaf community but to other churches interested in starting their own ministry. We know more than just ASL! We also know PSE and SEE. Using tactile sign language or “live Braille” the Deaf- blind are also served. The ministry with the Deaf will also visit Deaf in hospitals, jails and prisons. They have also taught sign language classes to those in the church, so they can welcome new Deaf visitors and hold basic conversations. Deaf people often have other needs as well, so we try to connect them to the appropriate places so those needs can be met. We have a qualified CDI who answers these questions during the service so that the concepts are clear. At times, the CDI will relay interpret to match specific needs of a individual. All you have to do is ask! At Pure Heart, we truly have a “Heart for the Deaf”. We know that some people are losing hearing or have auditory brain disorder that can benefit from our FM system. Our FM system is compatible with your own personal earbuds, or your personal hearing aids, in most cases. For hearing aid compatibility please check with your audiologist. Hearing assistance is also great for those who have attention difficulties. FM systems are located in the lobby to borrow during service hours. Deaf and Hard of hearing who are sick, elderly, in assisted living, hospitals, shut ins, jails and prisons need visitation too. The Deaf are more isolated and ignored due to the language barrier and cultural differences. We strive to overcome those barriers. Many misunderstandings happen between the culturally Deaf and the hearing caretakers, which can often lead to neglect. We have successfully educated the hearing caretakers with a few basic signs and helped them identify cultural differences to better communicate and care. Our visitation makes a brighter day for those whom they visit. Upon request, we can also bring Service/Therapy Dogs that comfort and ease the stress of being lonely, sick or in need of a fur friend. Prayer is offered in ASL, in person or via videophone. Please let us know if you need prayer in ASL. The Bible is sometimes difficult for people to understand and that is even more true for the Deaf. By using ASL, the Deaf have equal access to the Bible. We have Deaf Bibles free of charge for those who are interested. Unfortunately, there is no complete Christian ASL Bible at this time, but we do have the complete New Testament. ASL Bible study helps in relieving the gap by omitting the English and incorporating ASL. It also provides discussion, questions and answers for the participants. Our children’s interpreters have graduated from Phoenix College and even work in an environment with Deaf students at a local school for the Deaf. They are familiar with the current signs Deaf students use as well as the signs Deaf Adults use. Because they are in an educational environment with students on a regular basis, they can communicate more effectively than those who are not involved with the educational process. Interested in becoming church interpreter? Those who have ASL skills either through a IPP or ITP program, Native signers such as K/CODA’s, those who have acquired advanced ASL and signing skills, we are here to help you take that next step! We provide free training and tutoring to those interested to integrate the Bible with accurate translation to ASL for full access to God’s word. Fluency is mandatory so the Deaf can understand the full message in their native ASL Language. Biblical concepts are crucial to understand. If the English word “run” has 147 different conceptual ASL signs, then you can understand why one – on – one mentoring is imperative in becoming proficient with Biblical vocabulary and ASL linguistics. If you desire to learn sign language, we have many opportunities in the community and local colleges to which we can refer you. Individuals who are Deaf-blind are able to participate with worship and teachings at Pure Heart through, Tactile sign language for the culturally Deaf-blind and “Live Braille” for the deaf-blind who do not know tactile sign language. Transportation is available for Deaf-blind who wish to attend, prior arrangements must be made by email: ministrywiththedeaf@pureheart.org. Transportation to community Deaf-blind events are also available, prior arrangements must be made by email: ministrywiththedeaf@pureheart.org. Advocating for Deaf on personal and community levels is available as well as providing environments and resources for those desiring to learn ASL.